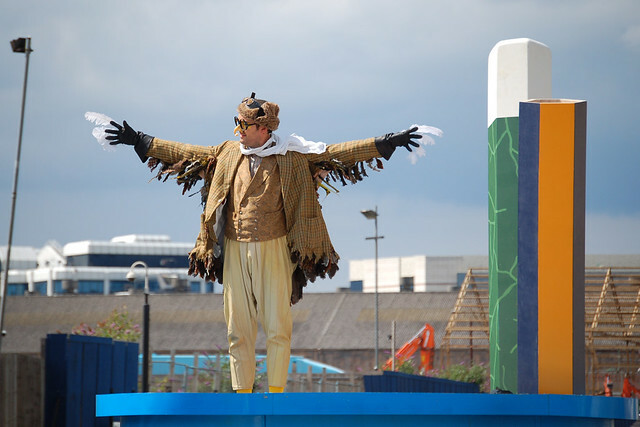 Halfway through its run, 12 million people have attended the London 2012 Festival across the UK. The festival began on 21 June and since then has featured more than 25,000 artists in more than 12,000 events and performances. Based on figures calculated at the end of July, 9.6 million people have taken part in free events such as the Royal Opera House’s BP Summer Big Screens and water-bound opera The Owl and the Pussycat. Other London 2012 festival events involving the ROH included Falstaff, Otello, Les Troyens and our unique collaboration with London’s National Gallery, Metamorphosis: Titian 2012. The free exhibition related to this last event is open until 23 September. Some of our events were also part of the glorious festival within a festival celebrating Shakespeare. The Festival continues until the final day of the Paralympics on 9 September and, looking back on two weeks of sport so far and ahead to the Paralympics, Royal Opera House Chief Executive Tony Hall wrote of the importance of a cultural as well as sporting legacy from the Games in the Telegraph. He also discussed the possibility of marking the festival a regular occurrence. Have you enjoyed the London 2012 Festival? Has the summer of sport completely distracted you from the cultural events or have the arts provided a welcome alternative to Olympic fever?